Note: I tried this method on my Moto G4 Plus (rooted) running Android 7.1.2; Mi Mix (not rooted) running Android 6.0.1; and my computer running Windows 10 Pro. Before we get started with the progress, there are certain things that you must ensure. Given below is a list of them (in no particular order). Install ADB on your computer using either Minimal ADB & Fastboot or the official Google binaries. On my computer, I installed the latter. Enable USB Debugging on your Android device. To do that, go to “About phone” in your device’s settings, and then tap on “Build number” seven times. This should enable Developer Options on your device. 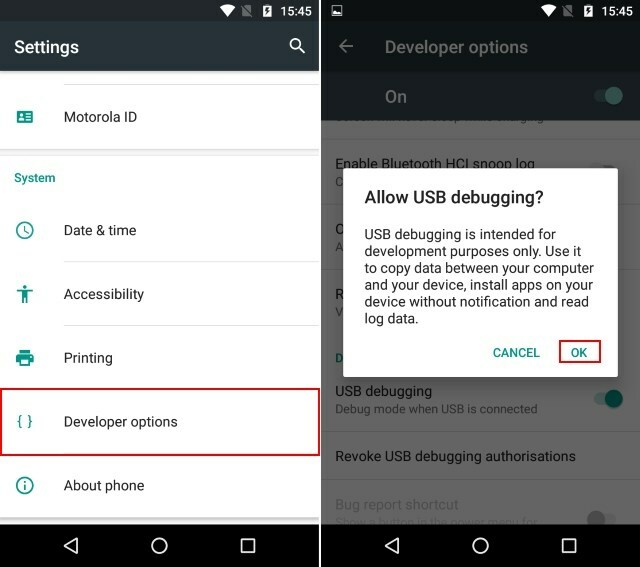 Head over to that, and toggle “USB debugging”. Now that you have all the prerequisites taken care of, you can move on to the actual procedure. For that, follow the steps below. Download the desired APK of the app that you are looking to downgrade. You can do this by searching for it on APKMirror. I am downloading the APK of Nova Launcher v5.3. Currently, its version that I have on my phone is v5.4-beta4. 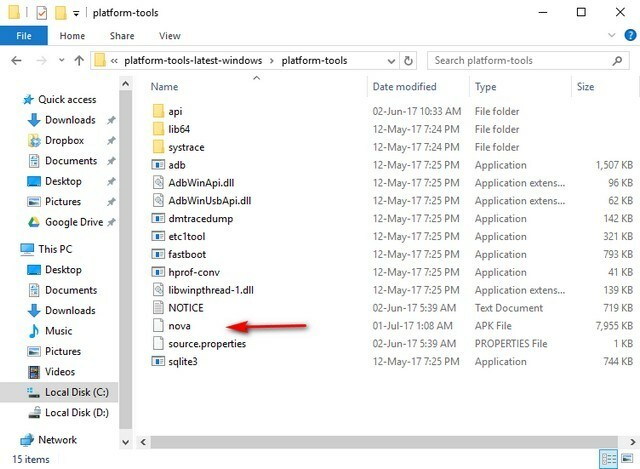 Now extract the ADB folder that you downloaded, and paste the APK there. Now, while pressing the Shift key on your keyboard, right-click anywhere on this folder. From the context menu that appears, select “Open PowerShell window here”. Note: I renamed the APK file on my computer to the one mentioned. You can replace “nova.apk” with the name of your APK file. Now if you check the version of the app on your phone, you will find that it has been downgraded. Now that you know how to downgrade apps on Android without losing your data, you no longer have to worry about your favorite features being removed in an app. This is a very simple method that anyone should be able to follow. However, if you know of any other method to downgrade Android apps, do let me know in the comments section below. Thanks for reading this post. Please support us by sharing this post with your friends. If you have any problem you can comment below,i will try to solve as soon as possible. Keep visiting .